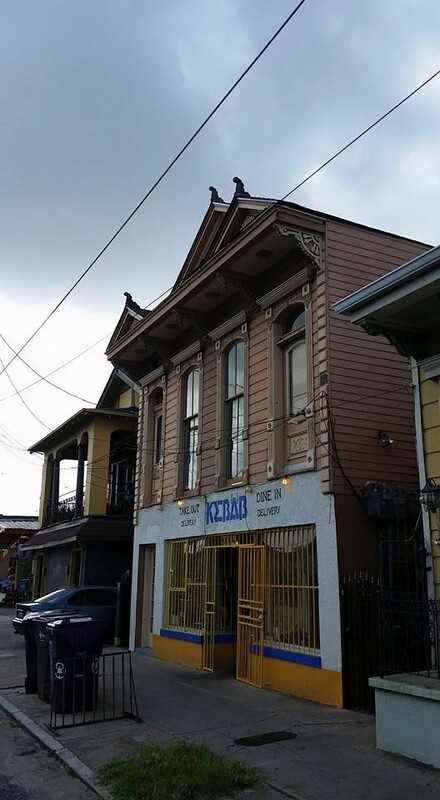 The Mystic Krewe currently manages two separate arcades in the NOLA area. One of them, called the “PinChurch” is a private venue for members of the Mystic Krewe (We regret that due to various reasons we can’t open the PinChurch to the general public – many of the games are very old and fragile and we lack the resources to operate that space as a commercial/public operation). However, the MKPP (The Mystic Krewe Pinball Parlor) is a public arcade space open to all every day except Tuesdays. We hope to make more spaces and games publicly available in the future (if you are or know a entrepreneur or restaurateur that is looking for a partnership with someone like us, contact us). 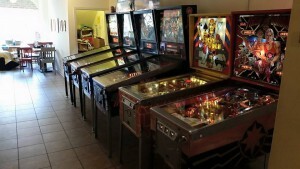 Right now, the MKPP is the largest single array of vintage pinball machines in a public space in the New Orleans area. Where to play pinball in New Orleans? Play pinball in New Orleans! 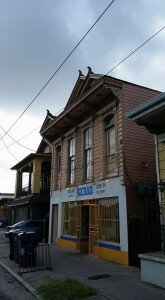 Open July 8th, 2015 is our first flagship public venue, the Mystic Krewe Pinball Parlor New Orleans! Usually open until 10-11pm on weekdays and 11-12pm on weekends – possibly later during the Fall. Come enjoy our vintage arcade of classic pinball machines, set up to be fun and challenging. We will be holding lots of cool events and activities there — stay tuned! And the food.. well the food there is AMAZE-BALLS! The Mystic Krewe Pinball Parlor is open and available to everybody – it contains a small sampling of some of the games in our collection, with all games set at 0.50/play. We routinely move games in and out of the space. It’s just a taste of what members experience at the PinChurch. 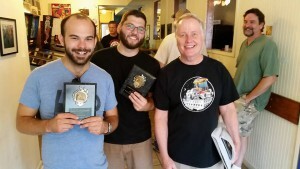 Mystic Krewe Pinball Parlor LEAGUE! 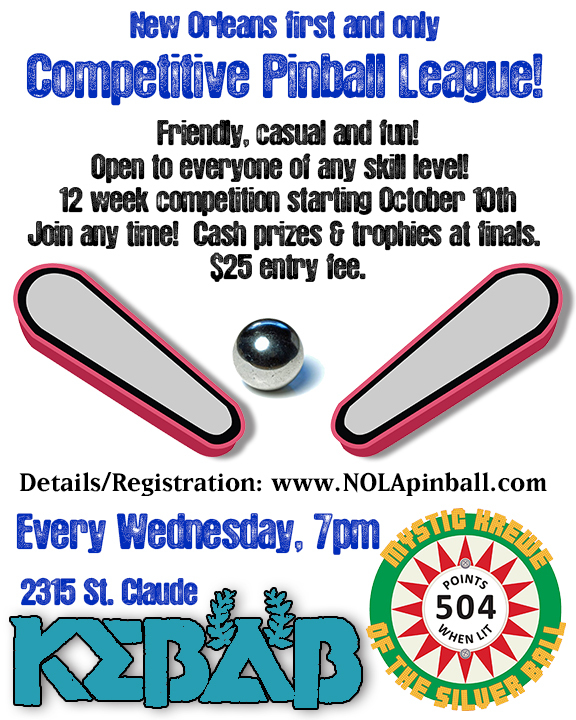 The Mystic Krewe Pinball Parlor league is now forming! Have you ever wanted to play competitive pinball? Come join our weekly league – open to all regardless of skill level! Competitions are weekly, every Wednesday. Don’t worry if you can’t make all the events. The league will go on for several months. Prizes for overall winners, as well as gift certificate for each week’s winner. Play one event, or play more! For more details and to sign up. Visit the League Page Here.